From the time I was little, hot cocoa has always been one of my favorite winter treats. I remember going ice skating at this rink that was just down the street from us when I lived in Montana that was a favorite winter spot for my family. There are many pictures of both my brother and I skating there. Afterwards, we would have hot cocoa most of the time and I loved to dip my candy cane in when Christmas time rolled around because the sweet taste of the peppermint mixed with the delicious chocolate was so amazing. Now, my husband loves to drink his nightly cup of hot chocolate when winter hits and the smell of him making it brings back memories. I made a couple of face scrubs in the past for my blog, but I just had to make a chocolate one because the scent just takes me back to my days spent at the ice skating rink and it makes me smile. 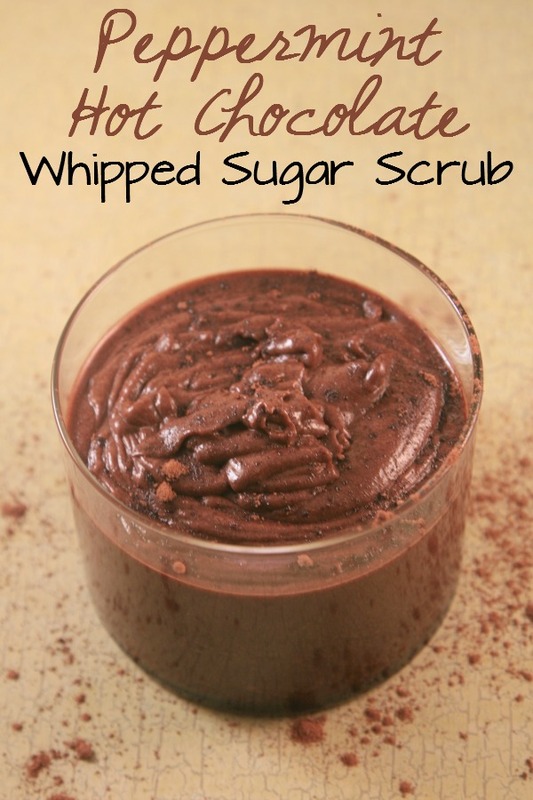 This peppermint hot chocolate whipped sugar scrub is the perfect solution for your dry winter skin. I have found that the cocoa powder used in it must be of better quality and I like to get dutch cocoa when I can. Cocoa has antioxidants in it and it helps me with preventing winter acne due to the wind and lots of time spent bundled up. Because this contains peppermint essential oil, you don’t need as much as you would think to make it smell amazing. In fact, I recommend that you don’t get too carried away, especially if you have sensitive skin and you plan on using it on your face. I decided to whip it because I love the way you glides on smoother and while it does exfoliate due to the sugar in it, it’s not over-drying or harsh either. 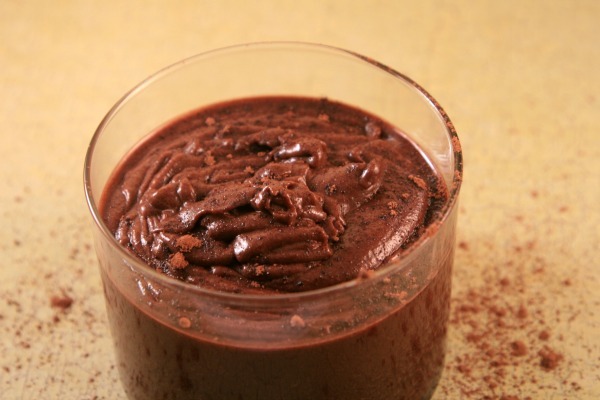 You just need 4 ingredients to make this delicious smelling skin treat and it makes a perfect gift for a chocolate loving friend on your gift list. Add firm coconut oil to a mixer and attach whip. Add sugar and whip for approximately 2 Minutes. Add drops of peppermint essential oil and cocoa powder and whip for an additional 2 minutes until it is light and fluffy. Store in an airtight container. It will firm up a bit, but this is good. You will be able to handle it better in this state. Use just a little bit on your face about the size of a quarter. Wash off when done and pat dry. I don’t find that it does. If you are looking or that, you could maybe add a bit more.